While braces used to be associated only with teenagers and a mouth full of metal, these days people of all ages are wanting to straighten their teeth and beautify their smile. In addition to the diversity of ages in people who are wearing braces, there have also been changes in the braces themselves. From clear braces to adult ceramic braces, self-ligating braces and even invisible aligner trays, people are finding there are more options than ever when it comes to choosing the best orthodontic treatment for their smile. So how do you decide which type of braces are right for you? Speaking with an expert in orthodontics in Rexburg is your first step. Adults who are seeking braces have different considerations than adolescents and should speak with their orthodontist about what options are available to them as well as, what your goals are, how much you would like to spend, and how long each treatment option will take. This article discusses the most common types of braces for adults and what you can generally expect from each treatment option in terms of eligibility, cost, and length of treatment. To schedule a free consultation with Randall Orthodontics in Rexburg, contact us today. Metal braces or traditional braces as they are commonly referred to, are not the bulky metal braces that many of us associate with braces. Older braces were more noticable and more painful, than the metal braces orthodontists use today. 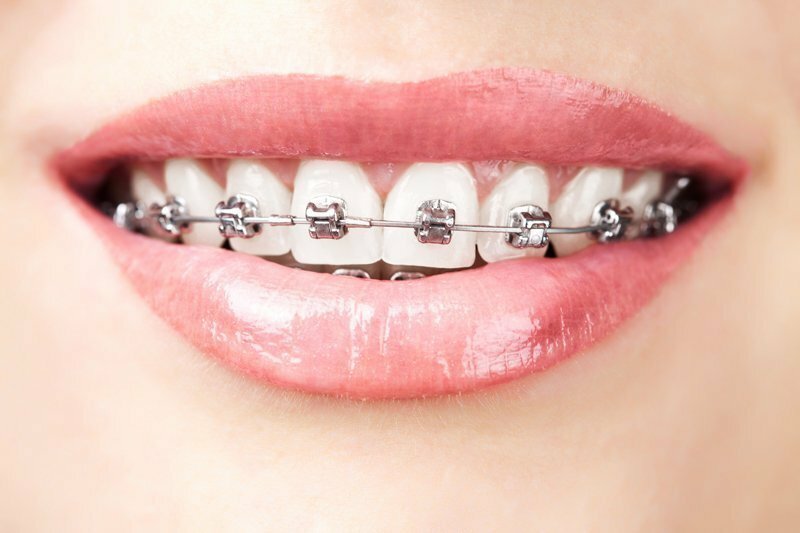 Metal braces consist of two basic components; a metal bracket that is bonded to each tooth and held together by a metal wire. These components are what applies tension and pressure to the teeth in order to move them into the desired placement. Traditional braces are one of the least expensive options when it comes to orthodontic treatments. Many adults will often wish to look into other options such as adult ceramic braces or invisible trays before going the traditional route if they are looking for a less noticeable option. However, if your biggest concern is how much braces will cost you, this is the best option currently available. If you don’t have dental insurance, you can expect to pay around $5,000 out of pocket according to Delta Dental. This price can be reduced depending on how much orthodontic care you need and the length of time it will take. As an adult, you can expect your orthodontic treatment plan for metal braces to last anywhere from less than 12 months to up to 3 years, depending on the severity of the work required. Almost everyone is eligible for metal braces. Adult ceramic braces are a great alternative to metal braces as they are less noticeable and have been shown to work faster than other types of orthodontic treatments, such as invisible aligners. Adult ceramic braces are very similar to traditional braces in how they work to move the teeth into alignment. However, the brackets are created out of ceramic that is the same color as the tooth and the wires are also usually the same color as the person’s teeth. This makes for a less noticeable orthodontic treatment, which is popular for many adults. Ceramic braces tend to cost a little more than traditional braces by about $1,000 or more depending on the length of the treatment and the severity of the case. Ceramic braces are less expensive than invisible aligners and in most cases work faster. The length of time a person can expect for adult ceramic braces is the same as traditional braces. Invisible aligners are some of the most common orthodontic treatments that adults choose in order to correct their smile. Since these trays are virtually invisible until someone is close enough to you, they are an optimal option for adults who want the least noticeable orthodontic treatment plan available. Invisible aligners do not work for everyone and people who are eligible for this type of treatment usually only have mild crookedness in their teeth and/or small gaps they would like to “fill”. Even though not everyone is able to utilize this system, invisible aligners offer many benefits to users. Aligners are worn for 22 hours of the day and can be completely removed when you’re eating and while you brush and floss your teeth. The price point for invisible aligners is much higher than traditional braces and can cost up to $8,000 depending on the treatment plan, type of trays used, and how fast your teeth move. Not everyone is eligible for invisible aligners, so you may want to discuss your options with your Rexburg orthodontist if this is the orthodontic treatment plan you’ve been leaning towards. Self-Ligating braces are more commonly used by orthodontists today since they are known to hold on to less food particles then traditional braces and they are less painful than the traditional wire and bracket method. At Randall Orthodontics in Rexburg, our orthodontists utilize the Damon Braces System to correct hundreds of smiles. 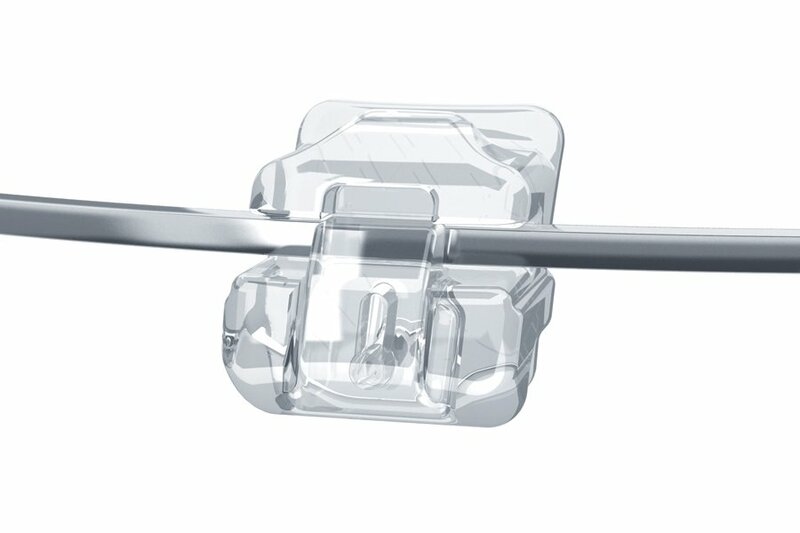 Rather than using elastic or metal “ties”, the Damon System (like many self-ligating braces) allows for the wire to move freely through the slots, causing less tension and reducing pain. Damon braces use a light, shape-memory wire that moves teeth faster than traditional methods and requires fewer adjustments during treatment. Damon braces can be metal, ceramic or clear depending on the patient’s budget and lifestyle. Damon braces do provide an overall shorter treatment plan than traditional or ceramic braces and invisible trays, but they are not suitable for everyone. The Damon System’s cost is comparable with traditional and ceramic braces, but may cost more if you are wanting clear Damon braces. Overall, Damon braces are one of the fastest braces options available for adults today. As you can see, there are many orthodontic treatment options available to adults. To find the most efficient treatment and cost effective plan for you, contact our Rexburg orthodontics office today for a complimentary consultation. SolidWheel.com > Dental > Adult Braces: What Are Your Options?